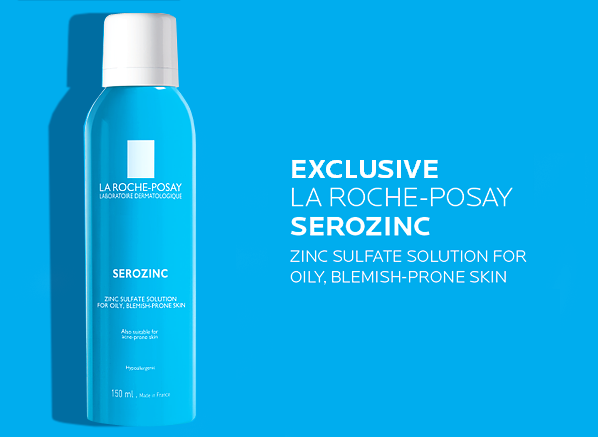 La Roche Posay Serozinc Ingredients Review and Analysis: What Does the Science Say About Zinc Sulphate? La Roche Posay Serozinc has been making quite the waves on the blogosphere, and many bloggers seem to be raving about this product, and following a twitter conversation with Ling, who has her own blog, I got the idea that, in light of all the raves Serozinc has been getting, it would be good for me to take a more analytical approach to the product. La Roche Posay claims that the product "cleanses superficial skin irritations" on their website, and the product is promoted as an anti-blemish toner. You apply it to cleansed skin, wait for a while, and then continue on with the rest of your regime. Escentual's site promotes Serozinc as "created with just three ingredients: La Roche-Posay’s ultra-soothing thermal spring water, healing zinc sulphate (0.10%) and astringent sodium chloride (0.75%). Together, these three ingredients target blemishes, marks and excess oiliness, ensuring your complexion feels fresh and comfortable at any time of day." So I guess we already know what the product is made of, and what the claims are. A lot of the rave reviews for Serozinc seem to have come from the fact that it is so simply formulated, which I suppose must be refreshing in a sea of products making complicated ingredient claims. But before I start, I must clarify that I have never actually tried this product myself personally. Although ideally a more complete "review" (in the sense of a blog review) would have my own personal experience with the product woven in (as I do with my normal reviews), for the purposes of this post, we are looking at what the science says about the usefulness of Zinc Sulphate, which will in turn help consumers (like you and me!) decide whether it's really worth spending your hard-earned money on the product. So just take this as me doing your science homework for you, to help you make an educated decision before you buy the product! So, without further ado, let's take a look at the ingredients in the product! I guess this means that effectively, you're paying for a product that is more than 99% water. And Sodium Chloride is just salt, like the table salt you add to your food. To be honest, I don't know if a product that is 99.15% water and then 0.75% salt is really worth paying for, although to be fair the price isn't that exorbitant - depending on where you are, prices vary from €6 to £8.50 if it's not. But I don't know if I'd pay £8 (or SGD$17 or so in my currency) for something that is more than 99% water and salt. But price aside, and the idea of paying for a bottle of mostly-water aside, does Serozinc really work as advertised? Well for that, we'll have to analyze the ingredients. But there aren't that many ingredients to analyze here - water is well, water, and Sodium Chloride (aka table salt) doesn't do much for the skin in terms of effectiveness, but it is used variously in skincare as either a water-binding agent, or else a thickener. I'm guessing in this case that it probably functions more as a water binding agent, since the product is packaged in a spray form, so I'm assuming that thickening the product (which might make it more difficult to dispense via a spray bottle) was not the intent. So I guess that leaves us really only one ingredient to analyze - zinc sulphate! What does zinc sulphate do in skincare, and does this mean the product would really work as advertised? Zinc Sulphate: What effect does it have when applied to skin? First, though, let's get some basics down about zinc sulphate. It's a compound with the molecular formula ZnSO₄. It's a pretty ordinary chemical compound - I remember back when I was in my teens, when I handled this compound in my science classes in school, we didn't have to wear any safety goggles or gloves. 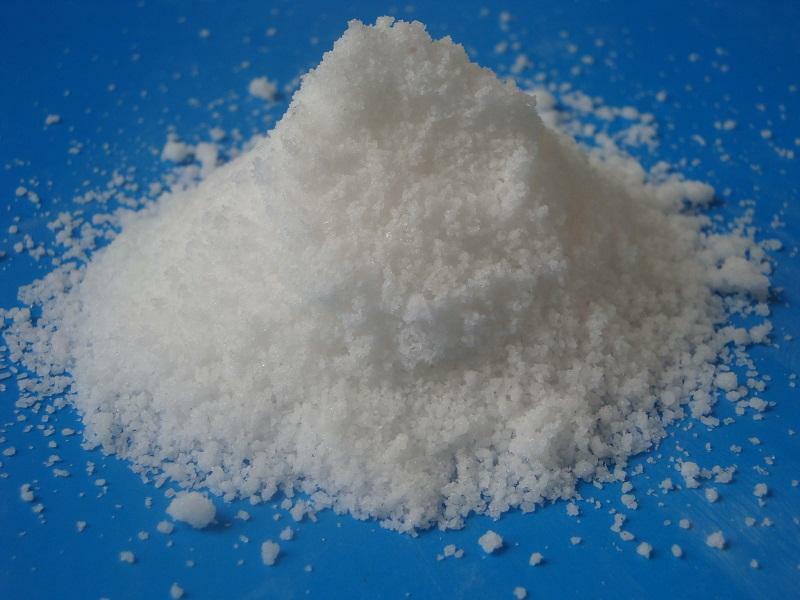 And if you want to know all about zinc sulphate, PubMed has a site listing all sorts of physical, chemical, and medical properties of zinc sulphate. Zinc sulphate is sold in tablet form as medicine, and these tablets are used to treat or prevent low levels of zinc in people. Some such trade name tablets include Orazinc, Zincate, and Solvazinc. Given these cute names, I guess it's no surprise why La Roche Posay named their zinc-for-the-skin product Serozinc! Anyway, cutesy names aside, what does the science say about zinc sulphate, specifically with regards to zinc sulphate treating sensitive or blemish-prone skin, since Serozinc is, after all, meant as a toner for acne-prone skin? This is where the science seems to deviate from the marketing somewhat. Zinc sulphate, seems to be a mixed bag, in terms of its effect topically on skin. There is some indication that it can aid wound healing, in part by reduce the risk of wound infection and enhancing re-epithelialization. It is also suggested that topical zinc may augment cutaneous immune responsiveness in humans. It was also proposed that a topical 10% zinc sulphate solution (coincidentally, the same percentage of zinc sulphate found in Serozinc) could help in the treatment of melasma, although subsequent studies questioned this by finding that the 10% zinc sulphate solution was not highly effective in reducing the severity of melasma, and also that it was not as effective in treating melasma as observed in previous studies. Other studies found that 10% zinc sulphate solution might help in treating plane warts, and that when combined with Clobetasol cream, was more effective in treating hand eczema than Clobetasol alone, and that topical formulations containing a zinc gel may be used to delay or prevent latex sensitivity. Specifically for acne skin, I could only find one study, and although the study found that topical zinc therapy alone is not of significant benefit in the treatment of acne vulgaris. So while the science regarding zinc and zinc sulphate might be interesting in other areas (e.g. in combination with other products to enhance treatment, or to help with wound healing and so on), it seems like as far as blemishes are concerned, the science seems to indicate that there isn't much basis for using zinc sulphate as an anti-acne treatment, especially when you consider that there are so many other products on the market containing ingredients with stronger science behind them (like products with salicylic acid, benzoyl peroxide, and so on). I'm personally not convinced, although of course I'm sure some people might find the product works for them. If zinc sulphate doesn't add meaningfully to the product, then is Serozinc really different from La Roche Posay's other thermal water products? So, basically the science regarding zinc sulphate is not convincing, especially if you're looking at the type of acne, blemished skin La Roche Posay is marketing Serozinc to. 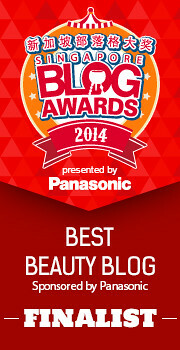 But how does Serozinc compare to La Roche Posay's other thermal water products? Is it meaningfully different in terms of effect on the skin, or is it pretty much similar to whatever other thermal water products the brand already has? 1) Is the difference in formula meaningful? In this case, since the main difference in formula is the addition of zinc sulphate and salt, and since neither salt nor zinc sulphate have a strong body of science behind their skincare benefits, I'm going to say that the change in formula doesn't change the product. So, we can conclude that it probably isn't meaningful. 2) Are the products formulated similarly? Yup. That's exactly what is listed on the site. So, if we compare formulas, Serozinc has water, salt, and zinc sulphate, the latter two ingredients which are questionable in terms of adding value to the formulation, while the Thermal Spring Water is just water. So yes, I'd say that the two products are formulated very similarly - you might even be able to call them dupes, pretty much, since they are 99.15% similar, with the remaining differences not being very significant. So if you've previously tried La Roche Posay's Thermal Spring Water and liked it, chances are, you will probably like Serozinc too. But on the other hand, if the Thermal Spring Water didn't seem to have any effect on your skin, it's unlikely that Serozinc will make a convert out of you. Is DIY Serozinc possible, since Serozinc is so simple? But anyway, I wanted to address the price issue with Serozinc. With a composition of 99.15% water, 0.75% table salt, and 0.10% zinc sulphate, even if it does work for me, the price just makes me a little uncomfortable. I mean, water is cheap, and so is table salt. And while zinc sulphate crystals probably need to be bought in bulk if you're a cosmetics manufacturer looking to manufacture skincare, it's probably pretty cheap too. A quick look at google throws up varying prices per ton of zinc sulphate, from $600-$900/ton to $430-450/ton, or 1000kg. Which means that since your 150ml bottle of Serozinc has probably less than a gram of zinc sulphate, so that $600, $900, or $400 for a ton of that stuff can go a long, long way - in essence, it can make over a million bottles of Serozinc! Besides, since the product is so simple, this sounds like something I could make myself at home, for much cheaper! I'm guessing that you could reasonably DIY your own Serozinc with distilled water, salt, and zinc sulphate. I'm guessing that noone wants to buy a ton of zinc sulphate, so as an alternative, you could probably crack open or crush a zinc sulphate tablet to get zinc sulphate inside instead. And since both salt and zinc sulphate dissolve readily in water at room temperature, it's pretty easy to make too (other than the powdery mess you might get from crushing zinc sulphate tablets) - literally, just add water, salt, zinc sulphate, and stir. No heating, no special mixing or processes, no need to add ingredients in a certain order. It's probably pretty easy to DIY. I imagine the hardest part would be accurately measuring out less than a gram of salt or zinc sulphate, because this might require some specialized equipment or a pretty accurate scale. Before anyone goes off to DIY their own Serozinc though - let me clarify that I've never tried DIYing this before myself, but this is my educated guess on how you could get a similar producdt at home. And if you do attempt to DIY your own Serozinc, please use distilled water (rather than tap water), and make sure all your jars, measuring instruments, and other implements are clean (at least wipe them down with isopropyl alcohol to disinfect them first). TL;DR, just tell me if I should buy Serozinc or not! So to sum up, what have we learned? 3) Because zinc sulphate doesn't seem to have that much use in terms of skincare, Serozinc isn't honestly very different from other La Roche Posay thermal water sprays. Does this mean that you should go out and buy your bottle of Serozinc, or should you DIY your own, or should you not even bother, since the science for zinc sulphate helping acne skin is so scant? For me personally, with my acne skin, I'm kinda desperate enough to try everything that claims to cure acne at least once (hey, you never know, some hocus pocus magic could be in there that might help my skin!). But to be honest, even with my desperation, I'm not convinced enough to say that I would recommend you buy this. That said, I do generally like La Roche Posay's products, and I think the brand generally is a good one to pick as far as skincare goes, and I've given some of their other products a fairly positive review on my blog before. I guess I'm just not feelin' the utter love I've been seeing Serozinc get, because the science doesn't seem to show how it might work with helping acne. If it works for you, fine. But if it doesn't, and if you're wondering if you're the lone person not raving about the product, well, you know why! Sorry to be the party pooper but you are completely leaving out one important factor here : this is made with thermal water from the city of La Roche Posay in France. Just like the Avene water, this deserves the "thermal" name because it has been studied by scientists and doctors, and recognized for its healing benefits, particularly on skin conditions like eczema, psoriasis and scarring. (The Avene one being a bit different, it does work on a few different conditions if I remember correctly). These waters have been studied extensively, and attempts to "re-make" them never worked, as the benefits weren't there anymore. I encourage you to make some research on those waters. So when buying Serozinc, the first think you buy is the thermal water, and then the added zinc is just giving it some extra oomph and help with healing. No need to say you CANNOT make this at home and get any kind of effect, sadly. Also, using this daily instead of toner when your skin is clear won't hurt you, but it won't do anything special for your skin and it's a waste of money and of a good product. Keep this for when you're breaking out/have irritations/allergic reactions etc. 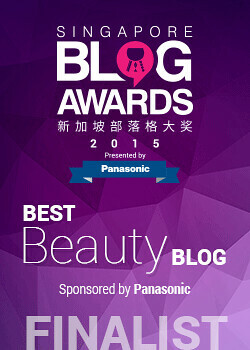 @Musing on Beauty: Thanks for your comment! I love it when readers share their views with me. In your comment, you mention that the benefits of this product are derived primarily from the thermal water rather than the zinc sulphate, and given that the science for zinc sulphate is pretty scant, I would agree. I suppose if La Roche Posay's existing thermal water sprays already work for you, then you would probably like this product too. But if you've tried the thermal water sprays before and didn't like them, then it's unlikely this product will change your mind. 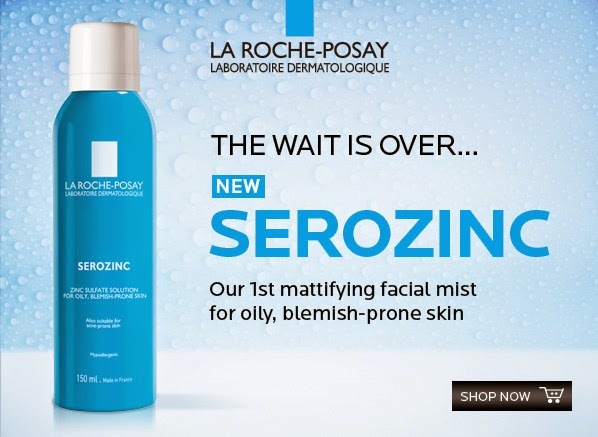 Given that the zinc sulphate doesn't seem to add much value in terms of skincare efficacy, I'm not too sure why La Roche Posay saw a need to launch Serozinc, since as far as I can tell, whatever skincare benefits you will get from Serozinc are already found in its existing thermal sprays. (http://musicalhouses.blogspot.com/2013/01/bio-essence-miracle-bio-spring-water.html) before, too, where I found it helped somewhat and was nice for occasions like travel, but didn't revolutionize my skin. So I hope that helps to explain why i focused on zinc sulphate on this review, and my general views on thermal water! As with any skincare product there will always be some who like it and some who dislike it, and I'm all for people sharing their views. You've given me an idea for a future post, where I look into what the science says about thermal waters, and that's something interesting to me, so I'll definitely do a post on that sometime in the future! "It was also proposed that a topical 10% zinc sulphate solution (coincidentally, the same percentage of zinc sulphate found in Serozinc)..." Doesn't Serozinc have 0.10 % of ZnSO4? @Anonymous: D'oh, what a dumb error, thanks for pointing that out to me! (Can you tell I was le suckage at proofreading because I wanted to hit "publish" and go to sleep, lol!) I'll change it at the first available opportunity! And thank you for your kind words on this post, I am so glad you liked it (stupid mistake notwithstanding)! Awesome post (as always ;) ). How can so many people say it works? Could it be a placebo effect? I guess there's something in the water (ha), though I'm still skeptical. As I already mentioned, how different can water be???? 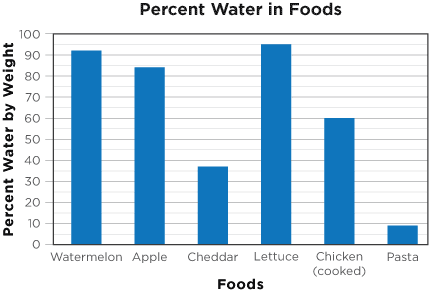 You're right in that it is mostly water, and essentially water is pretty much H2O no matter how you try to sell it. Some other science-based skincare sites, like Paula's Choice, adopt this view towards thermal water (this includes not just La Roche Posay, but also other brands with similar products, like Evian, Avene, etc.) and basically view them as overpriced water with some nitrogen inside (as a propellant when you use the product in spray bottle form). Because as the product is mostly comprised of water, that is a great approach to take, and I do generally agree with Paula's Choice's reviews. That said, some people will argue that what makes "thermal water" different from plain ol' distilled water is that thermal water has trace amounts of various minerals not present in distilled water. The people who love thermal spring water believe that these trace amounts of minerals help the condition of the skin. I've done a quick preliminary glance at the science in PubMed, there does seem to be some science indicating that thermal spring water may have some benefit for the skin via anti-inflammatory effect (more, at any rate, than for zinc sulphate), but like I mentioned in response to Musing on Beauty, my strongest endorsement would still be for the ingredients and products that have the strongest science behind them (retinols, ascorbic acid, sunscreen etc.). Anyway, I've gotten yet another idea for a future blog post, where I take a look at the science behind spring waters, so that's another idea I'll need to write up on! Interesting review from a different angle. I'll sure be following your subsequent posts. me too, being skeptical about thermal waters miracle but I do find them refreshing and (as for Evian thermal water in my area) somewhat cheaper than anything fancier like etude Dust cut (which contains of so many chemical product I may get breakout from). @tania: Ah yes, the Etude House Dust Cut is a totally different animal altogether, formulation-wise. It actually has film-forming ingredients that form a film on your face (which I suppose is supposed to help protect your skin from dust? Maybe? ), whereas the thermal waters tend to not be formulated with such products. So I can imagine using them you would get very different effects! But that said, I do find thermal waters (while they do have some science to back them up) are one of those things where the hype definitely is unreal for the product. I have no idea if thermal / spring water is beneficial to skin or not, but I do remember testing the pH of various bottled waters in chemistry class and that they varied pretty wildly! Maybe with a tendency towards being alkaline? Which obvs has implications for skin, which is naturally abit acidic. I look forward to your research on the subject! @Unpalettable: Thanks for sharing your knowledge with me! A product that is either very alkaline or very acidic will definitely impact the skin! I'm not sure what the pH of such thermal spring waters meant for skin are, but my guess is that they will probably be close-ish to the skin's pH. I don't recall coming across any research on the pH of the water (most were looking at its mineral composition), but if I do I'll be sure to include it! 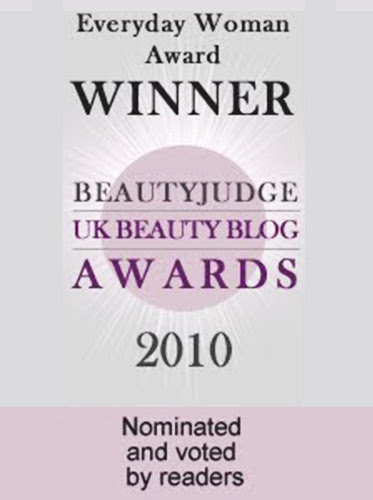 FIrst - I highly appreciate what you're doing here, and I think this kind of scientific analysis needs to be done more often, particularly in the makeup blogosphere, where each product claims to have a magical ingredient more superior than anything else; I loved your analysis of color-changing products. That said, with regards to this review, I would suggest mentioning that sometimes you really only need a tiny bit of one ingredient in small concentrations. I'm not sure about how much zinc you'd actually need for it to work, and I agree that 8 pounds is way, WAAAYY too much to pay for something that is 99.15% water, 0.75% table salt, and a mere 0.10% zinc sulphate, two things which you could easily make at home (although you'd probably need expensive lab apparatus to measure to that degree of accuracy, haha). However, it's like how you only need trace amounts of certain minerals in your body - sometimes it's not the amount that matters, but the effect it has (although I'm sure in this case, you're right - this product sounds completely unconvincing). Also, this is just my opinion but I wouldn't suggest people to make their own products. In this case it would probably not be too dangerous since people can take zinc tablets, but it might be worth it to write a small disclaimer telling people not to make their own products at home, especially when it's not with natural ingredients (e.g. homemade fruit masks or whatever). No matter how bogus a product might be, it HAS been clinically tested and approved (hopefully), so it would be safer. You don't know what people might try at home with other chemicals to imitate the effect of some other product - so I just think if you're writing this kind of post, you could use a bit more caution. I hope I haven't come across as very harsh here - as I said, I really like what you're doing. Keep up the good work! @Anonymous: Thank you for your comment, and no, you don't come across as harsh at all! Part of the point of a blog is also to share our opinions! You mentioned that sometimes, certain active ingredients are only needed in small amounts to have an effect. While this might be true for certain ingredients (eg ingredients like retinol, or things like acids etc), I highly doubt this is the case for zinc sulphate. This is because the studies using zinc sulphate can and do use it in fairly large concentrations (10% in some studies, and 25% in one) to mixed results, which would indicate that they probably do need to be used in fairly large concentrations to have an effect, if any, since not all the studies demonstrated zinc sulphate as effective (as compared to the 0.1% in the formula). If zinc sulphate could be effective at smaller concentrations, then one would expect that there would be such studies carried out. In cases where smaller amounts of zinc sulphate were effective, they were often used in conjunction with another product or treatment (eg Clobetasol, or as part of a gel). But in this case the other ingredients are just water and salt, so I doubt there would be any real effect. You're right that I could probably put in more caveats with regards to making your own dupe. I will definitely do so, and make sure to tell people not to try this unless they know what they are doing, and add a few other precautions too (like if you don't use a preservative system for the product, please refrigerate it and throw it away after a few days etc.). I've no idea what people will do with the idea of duping the product, but, I'm pretty sure the combination of water + a bit of salt + a teeny bit of zinc sulphate won't be unsafe unless they are using unclean instruments and so on. But that said, there are some people who are skincare enthusiasts do DIY some of their own skincare (eg they might mix their own face oils, or make their own vitamin C serum with water and Ascorbic acid crystals), which is why I thought a little section on DIYing might be useful for such people, since the product itself is fairly simple in terms of ingredients and process, and doesn't have any ingredients that shouldn't be played around with casually (eg acids). If a product is not something that should be DIYed (eg, sunscreen, where you need some pretty technical knowledge to formulate properly, or things like acid peels which, while they may seem simple to DIY, can leave pretty horrific results if made carelessly), I would never advise it! So I tested the pH of this with the pH strips that I have. It came out at pH 6.5, bordering 7. Not the most impressive of pH numbers to me. Hello, I just found out your post. I'll highly recommend you to try Serozinc - OK with a lot of water but enough concentration of Zinc and Sodium Chloride. In France, my friends has been recommended this product by derms for baby nappy rash and it works effectively! Then, additionally, Serozinc has no thermal water. This product is formulated as a gentle sebo-regulator and gentle purifier. So, No, it's not as all thermal waters! - Serozinc is used for oily/acne skin and for superficial irritations. - Thermal water is used for great soothing, hydrating and treat sensitive skin. I've very sensitive skin with a lot of eczema and redness on my skin (mainly due to hard water in my place). It's pity that I cannot publish pictures here but you'll see how La Roche Posay water make disappear my redness and itching on my skin in few secondes. 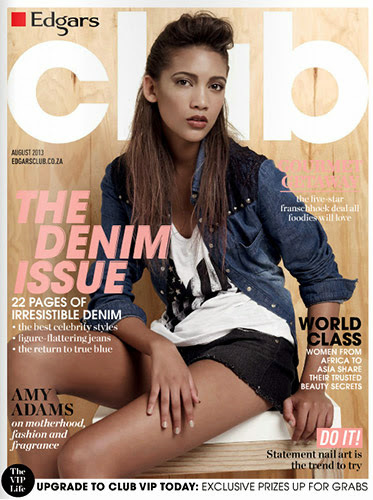 Your blog and post is very interesting but please do not mislead people. I could see some misunderstanding between products and properties. I'd even recommend you to contact the brand for having more information and expertise. I assume dermo-cosmetic brand are really serious (at least for LRP as I've been treated in La Roche Posay cure center) instead of making doubt of a product and very serious brand who really change people life!